Best Beginnings is a place for a child to wonder, to develop curiosity, to explore and experiment with resources, to have individual attention from warm, responsive teachers. It is a place that values your child; a place that is healthy, safe, educational and fun, where learning can take place through discovery. Best Beginnings curriculum has as its foundation the use of developmentally appropriate practices. Activities are selected on this basis and utilize a variety of instructional approaches to achieve our educational goals. 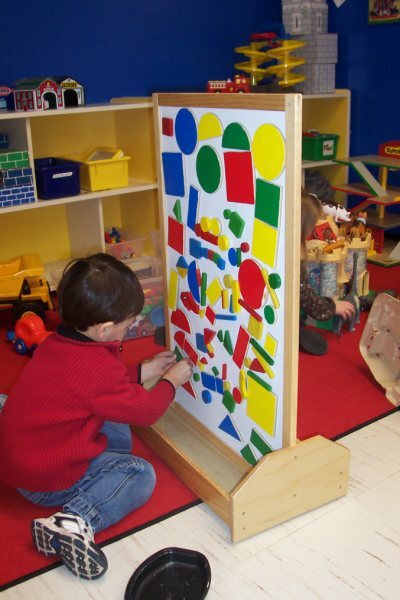 Through child-oriented units like community helpers, bears, insects, five senses, etc., the children learn about math, science, the alphabet, health and social studies. Special attention is given to the childà®¡tural artistic ability and students are given daily opportunities for expression through art, music, and movement. The development of positive social skills is fostered at all times. Our program is designed to provide many positive experiences for our students so that they can enjoy their accomplishments and develop the self-confidence that is necessary to open the door to learning. It is our goal that their first school experiences be fun and rewarding as we are laying the foundation for all further education. "Thank you so much for all the nice things you have done for (my son). You worked so well with him….. I wish you could be his kindergarten teacher, too!"